This Valentine’s Day enjoy a romantic afternoon high tea with your valentine in the Lavender Lodge! 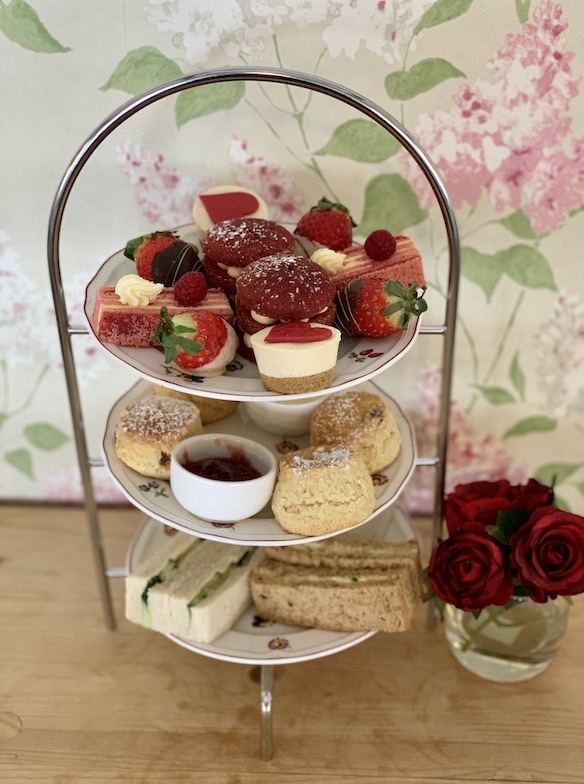 Indulge in a delicious selection of sandwiches, freshly baked scones served with clotted cream and preserves as well as a selection of cakes and treats along with two servings of blended teas or freshly ground coffee for £14.99 per person. For an additional £5.00 add a small bottle of prosecco.